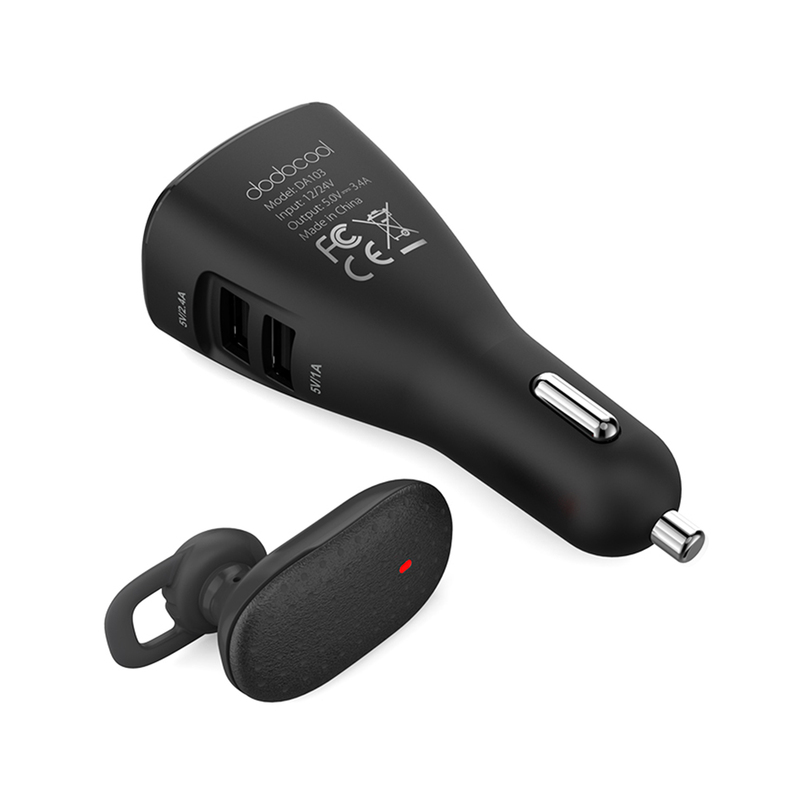 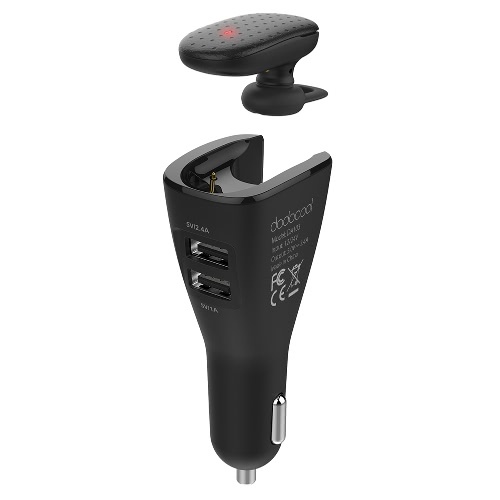 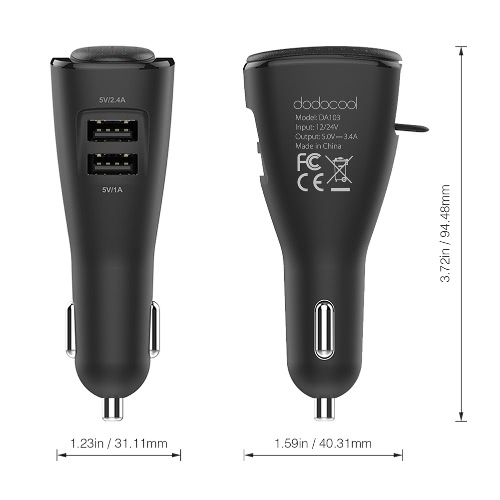 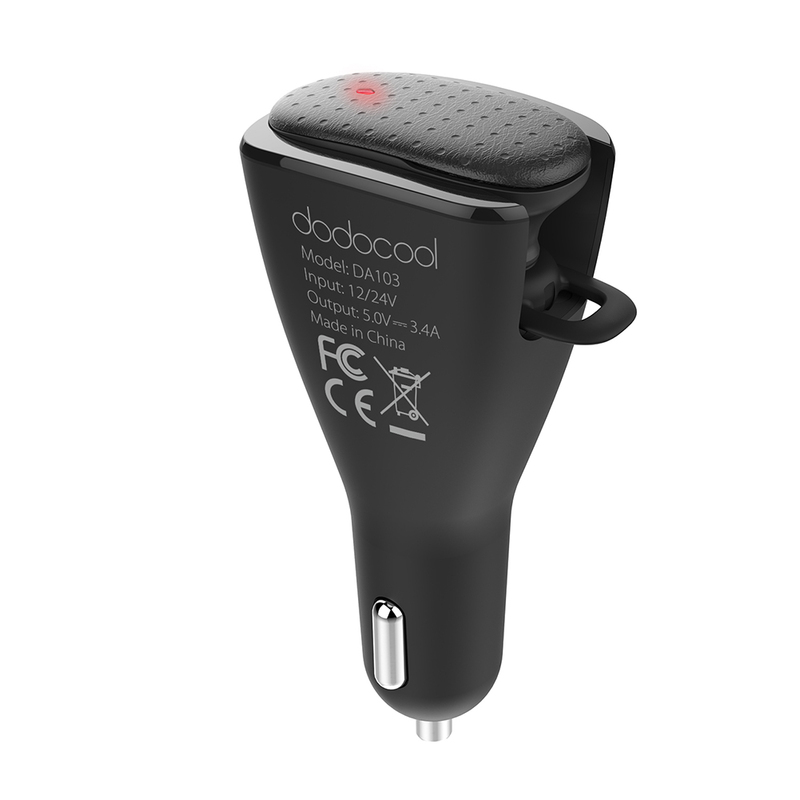 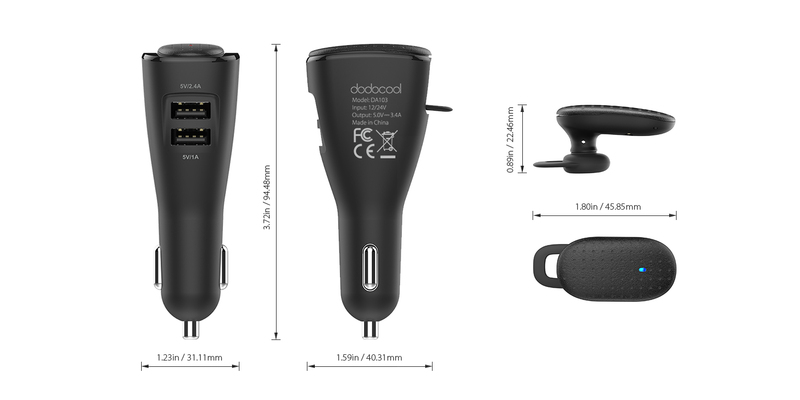 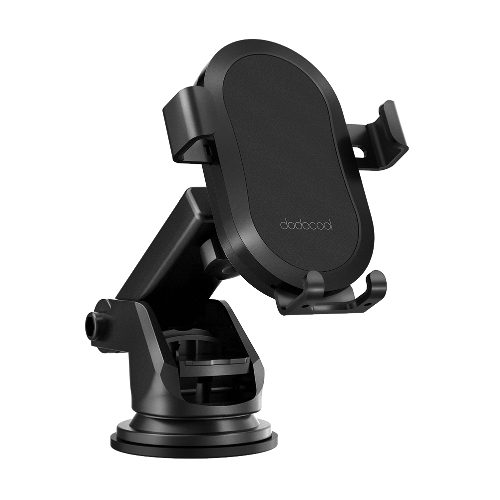 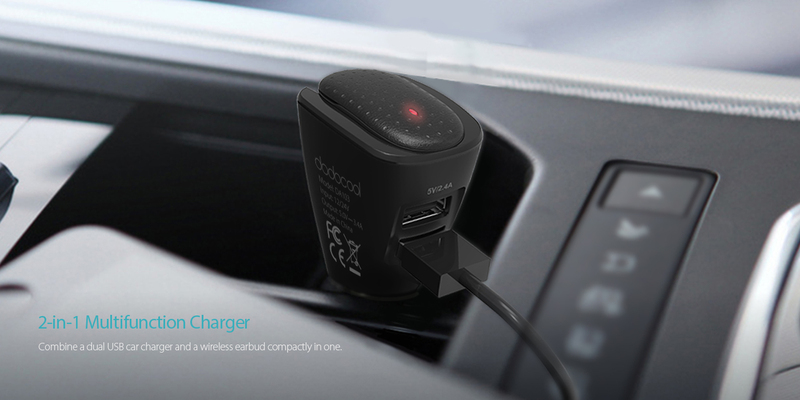 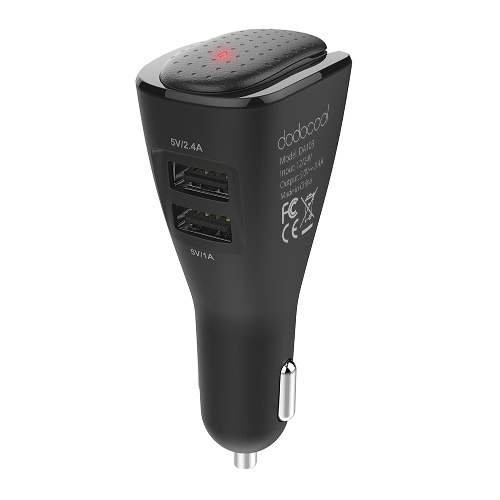 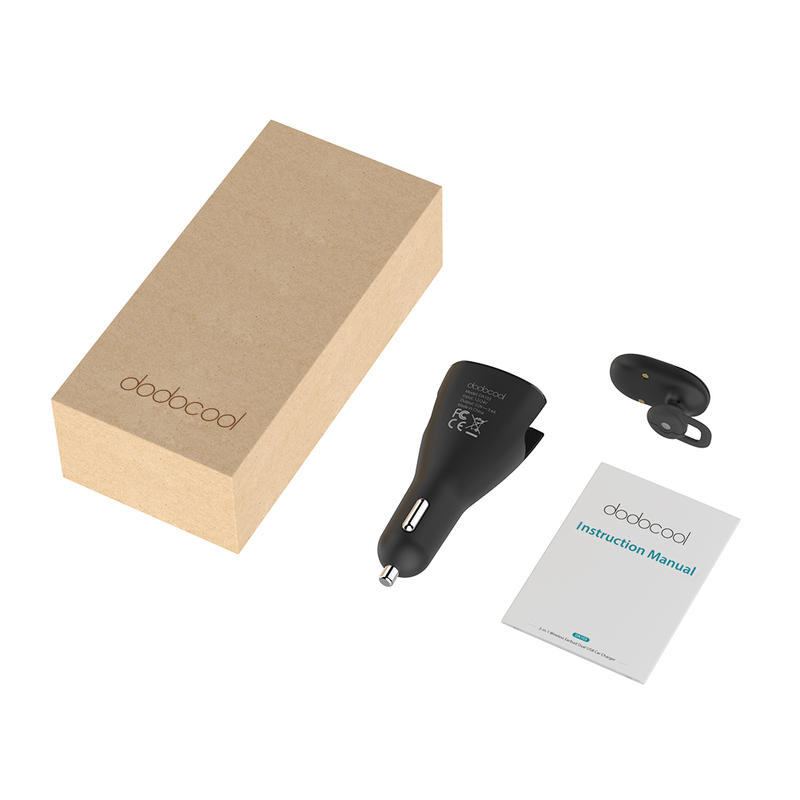 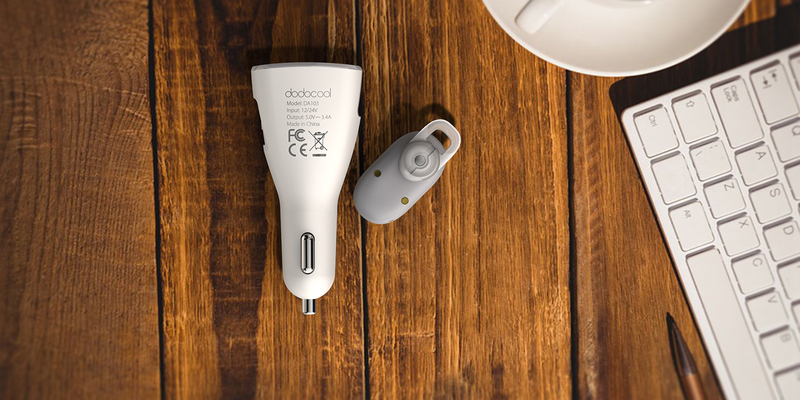 dodocool 2-in-1 Wireless Earbud Dual USB Car Charger compactly combines a dual USB car charger and a wireless earbud in one. 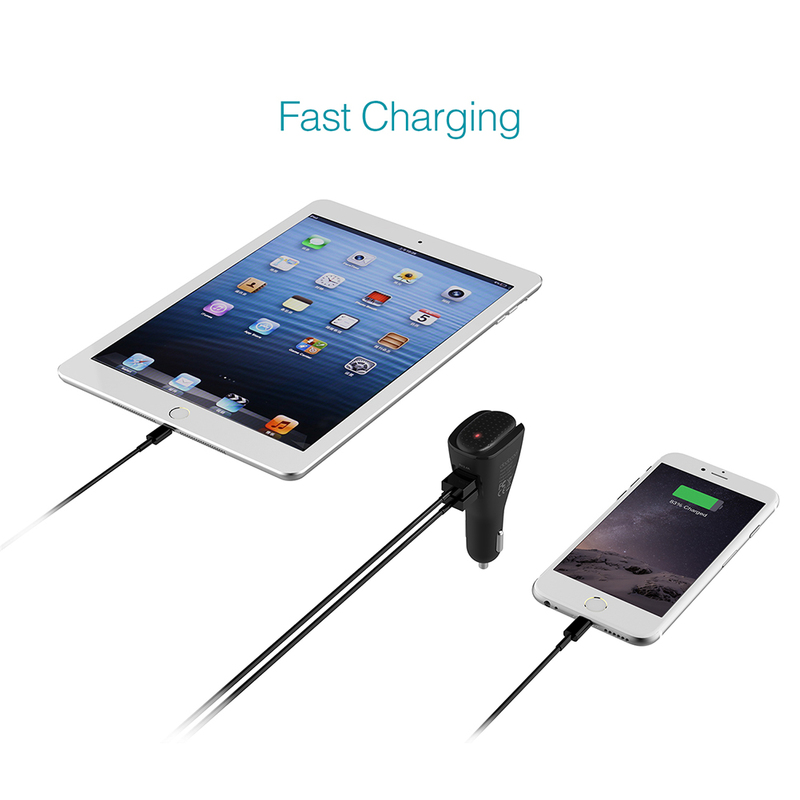 It enables HD audio playback, hands-free calling function and safe and fast dual USB charging. 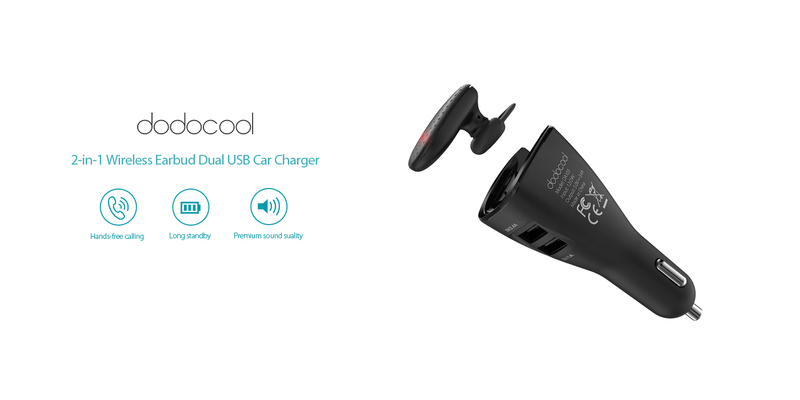 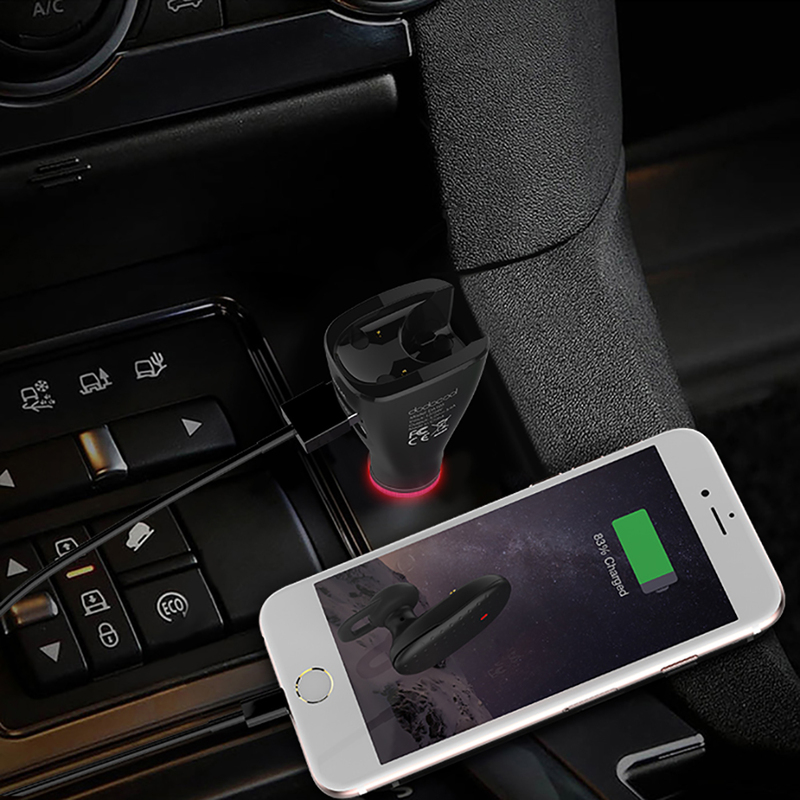 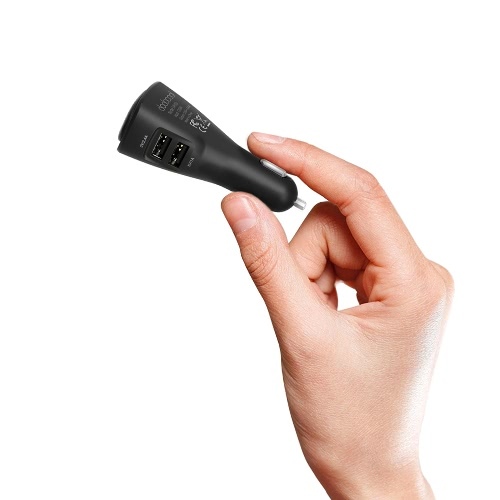 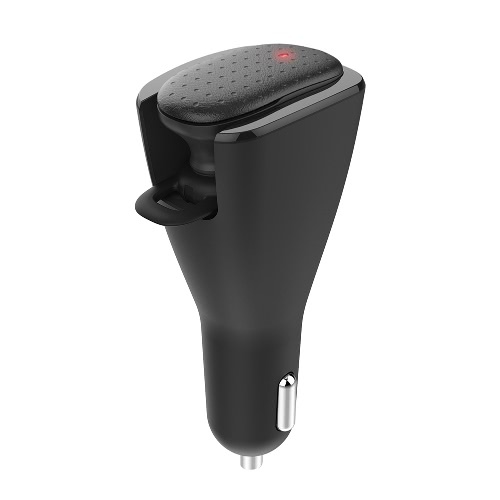 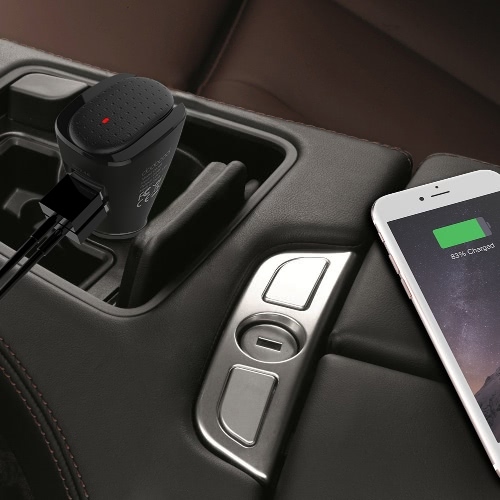 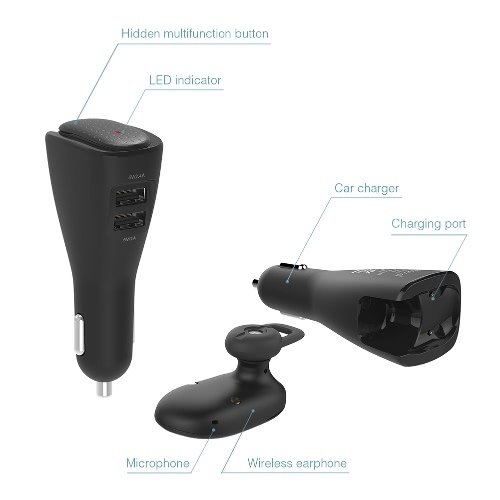 Combine a dual USB car charger and a wireless earbud compactly in one. 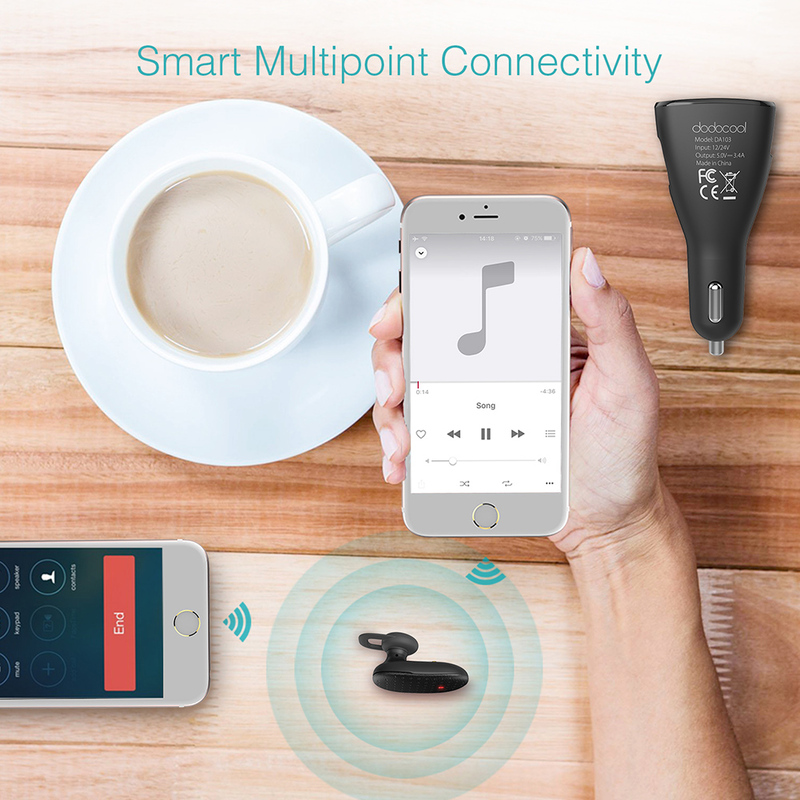 Charge the wireless earbud and two USB-powered devices simultaneously. 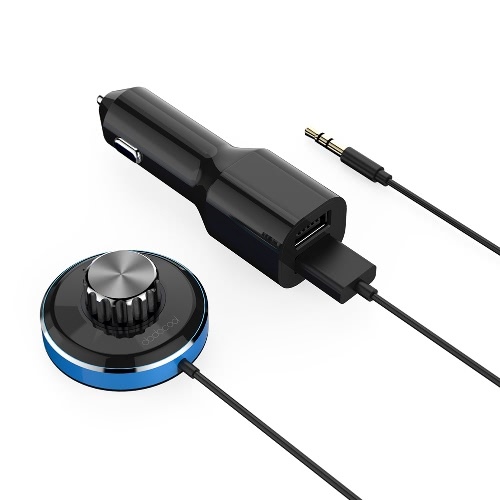 Advanced wireless technology delivers unparalleled high-fidelity sound quality with up to 33 feet wireless working range. 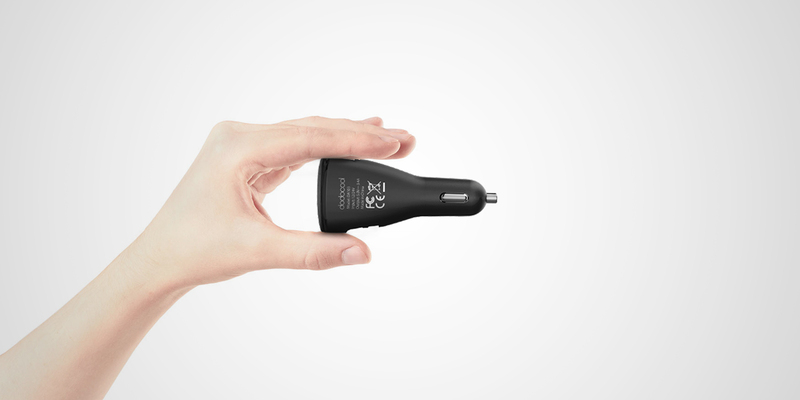 Mini size, lightweight design and the soft silicone ear tip make the earbud comfortable to wear. 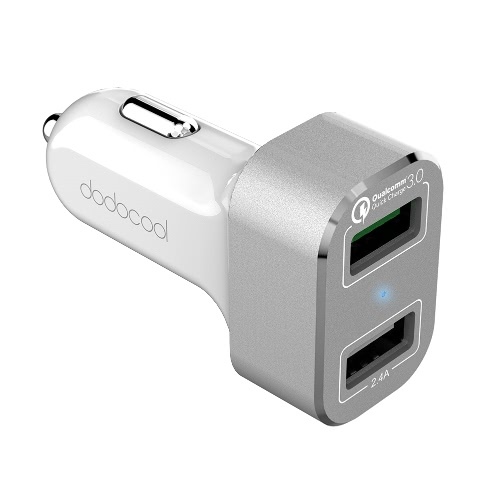 Pair with up to two devices easily at the same time. 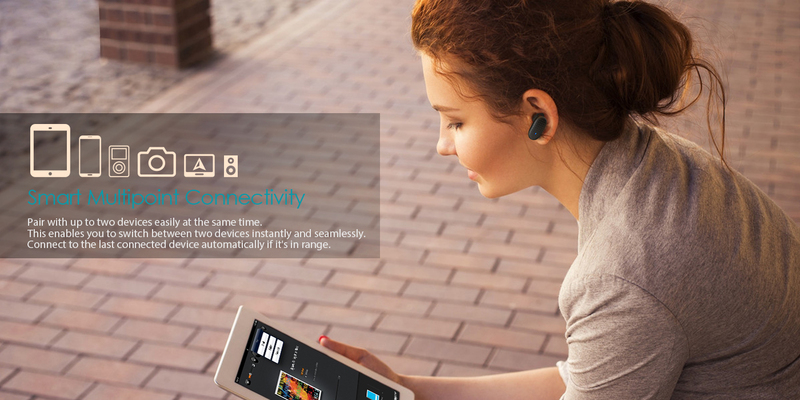 This enables you to switch between two devices instantly and seamlessly. Connect to the last connected device automatically if it's in range. 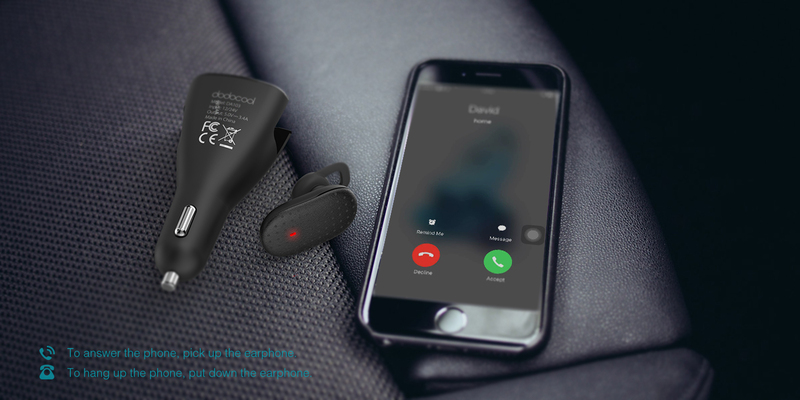 The wireless earbud with built-in Mic enables you to answer, hang up, reject phone calls hands-free. 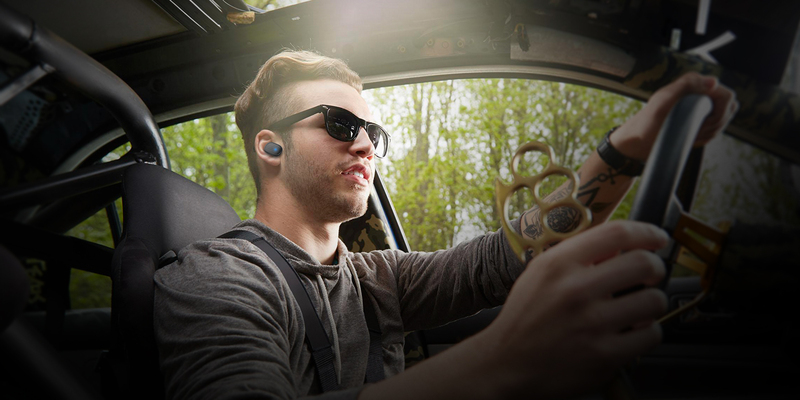 No need to wear the earbud on your ear all the time. 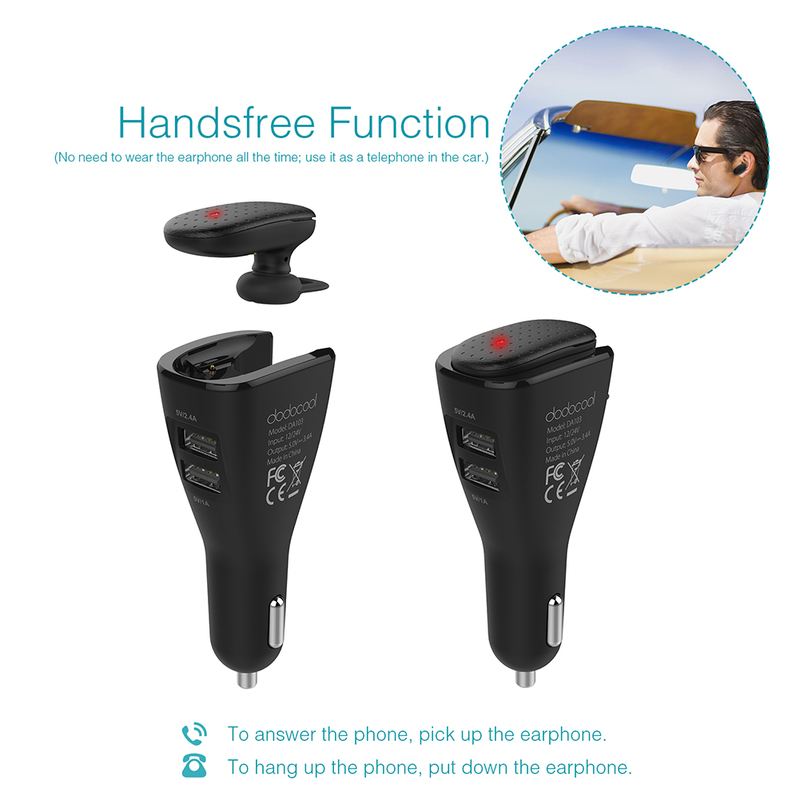 To answer calls, pick it up. To hang up calls, put it back. 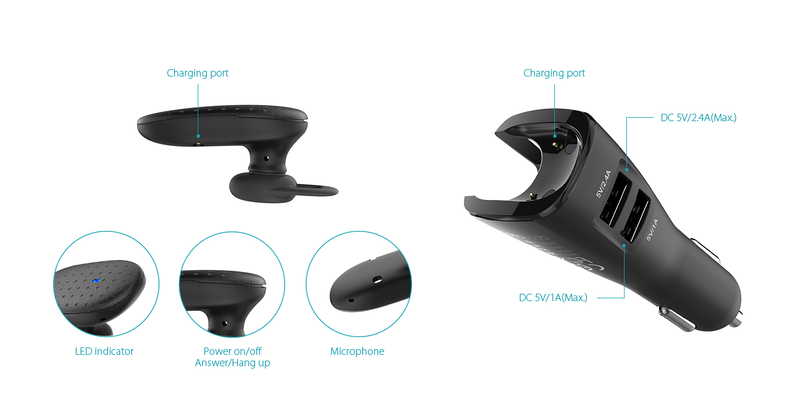 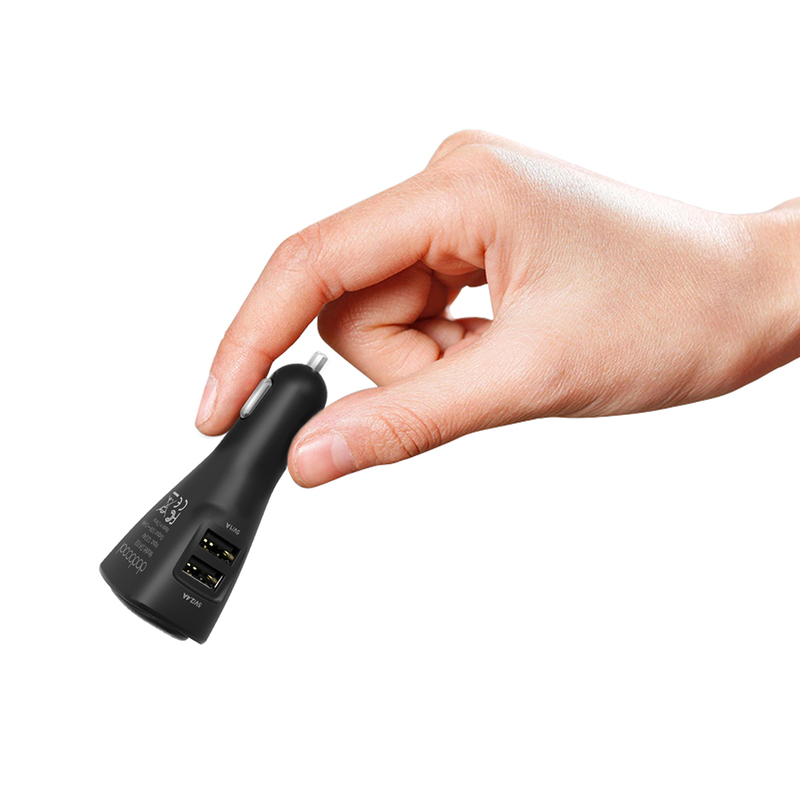 Magnetic design enables you to easily detach the earbud from the car charger with one hand. Great for driving safety. 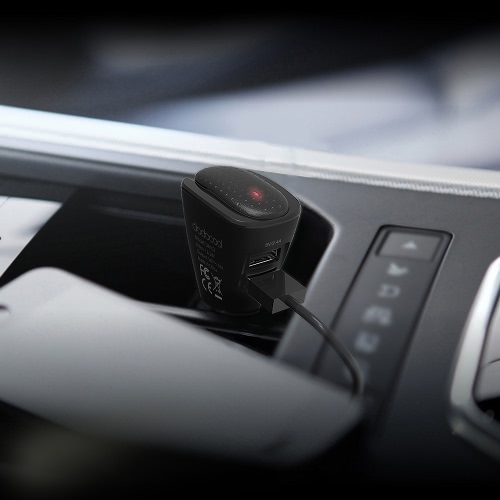 The earbud will turn on and start charging automatically when you start your car. 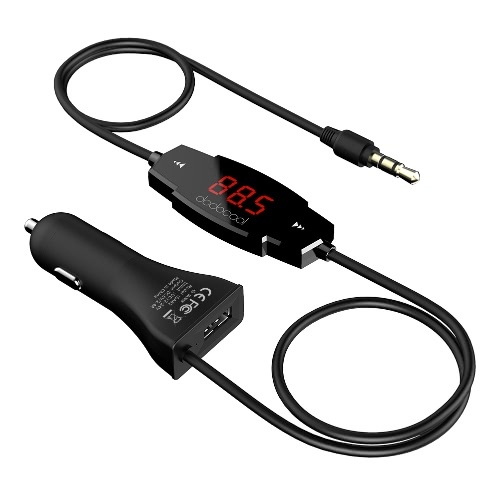 It will turn off automatically 30 minutes after you disconnect it with your phone. 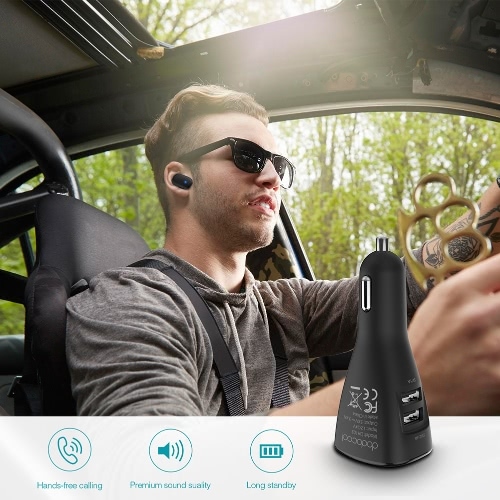 Enjoy up to 4 hours of talking time or 96 hours of standby time. 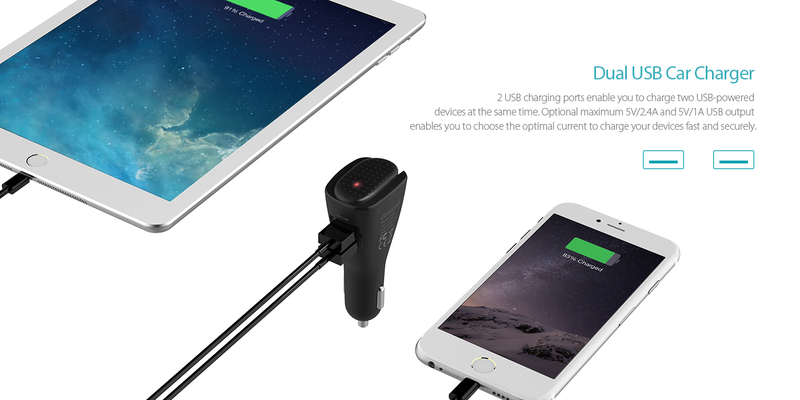 2 USB charging ports enable you to charge two USB-powered devices at the same time. Optional maximum 5V/2.4A and 5V/1A USB output enables you to choose the optimal current to charge your devices fast and securely. 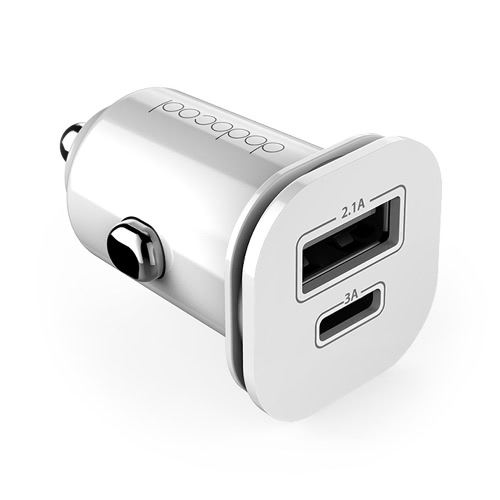 Fireproof PC cover and built-in over-heating, over-current, over-voltage, overload and short-circuit protection and surge protection keep you and your devices safe.